The Hyundai Accent has been a consistently popular option amongst buyers looking for affordable small cars in the Phoenix area. This model year, the 2017 Accent is adding a new Value Edition trim that offers more premium amenities to the Accent when compared to the base model, but keeps the car within the base model's price range. For more information about the 2017 Hyundai Accent, available now in Phoenix, continue reading our 2017 Accent review below. The 2017 Hyundai Accent is a small car with big options, including two body styles (sedan and hatchback) and three trim levels: SE, Value Edition and Sport (hatchback only). 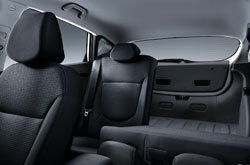 Standard features on the base SE trim include everything from 14-inch steel wheels, full power accessories, a driver-seat armrest and satellite radio to USB ports, a 60/40-split folding rear seat, a six-speaker sound system and a trip computer. The SE hatchback adds a rear window wiper. The new Value Edition trim adds even more convenience features to the sedan model, including steering-wheel audio controls, Bluetooth connectivity, hill start assist, cruise control, 16-inch machine-finished alloy wheels, rear disc brakes and a center console storage box. 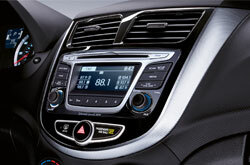 The range-topping Sport trim, a favorite of many 2017 Hyundai Accent reviews, can only be found on the Accent hatchback, and features amenities like heated side mirrors, projector-beam headlights, a leather-trimmed tilt-and-telescoping steering wheel, piano black interior accents, upgraded cloth seating, sport-tuned steering and foglights. Under the hood of the 2017 Hyundai Accent in Phoenix is a 1.6-liter four-cylinder engine that produces 137 horsepower and 123 lb.-ft. of torque. Reviews have commended this particular powertrain, with Edmunds.com calling it "one of our favorites," and praising its acceleration as "one of the best in the segment." There are two available transmission options on the Accent, depending on the trim you choose: a six-speed manual and a six-speed automatic. All trims come with front-wheel drive. On top of these impressive amenities, many 2017 Hyundai Accent reviews have also praised the car's slew of excellent safety systems, including side-curtain airbags, front airbags, front side airbags, stability and traction control, antilock brakes and brake assist, just to name a few. For more information about the 2017 Accent, stop by Camelback Hyundai today and speak with one of our expert salespeople! 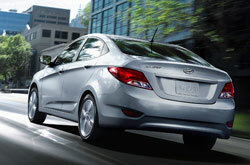 Is the Hyundai Accent Perfect for You & Your Family? If you're out browsing for the 2017 Mazda2, Toyota Yaris, Ford Fiesta, Honda Fit and the Chevrolet Sonic in the Phoenix area, you should also take the 2017 Hyundai Accent into consideration. Due to its in-car technologies, finely crafted design and fresh personality, it could be just the vehicle for you. 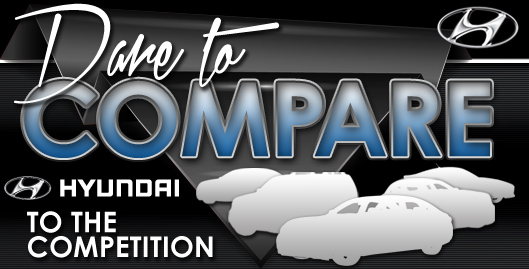 After using our 2017 Hyundai Accent review and compare page, view up-to-the-minute exclusive dealership offers online! 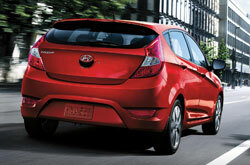 Among our truly incredible range of cars, the Hyundai Accent is a sought-after option at our Hyundai dealership. When deciding on a car, it's crucial to make a knowledgeable choice; that's why we've included this 2017 Hyundai Accent review the best match on our site. 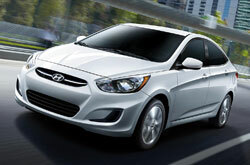 Camelback Hyundai offers a large variety of brand-new Hyundai Accent models in Phoenix, AZ. Visit us to take one for a spin. Can't wait to see its modern features firsthand? Play our video walk-around now!